Rev·el·ry – lively and noisy festivities according to Google, something we all enjoy now and then. 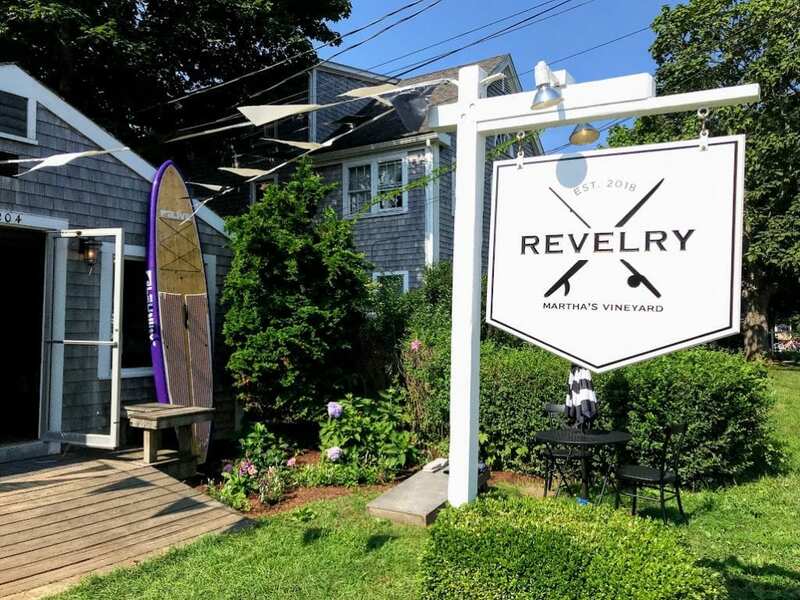 However it can also refer to the great new spot in Edgartown, The Revelry. 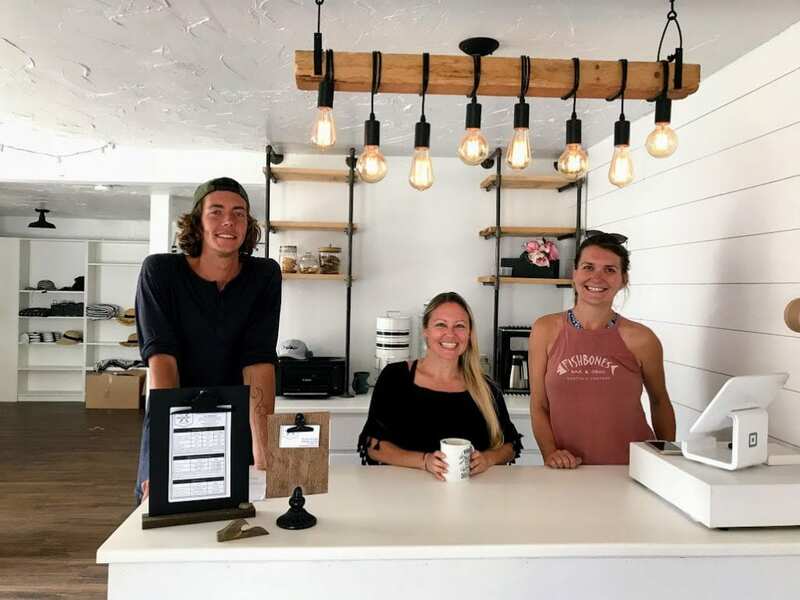 We’ve all driven by the old bike shop on upper Main Street that boasts a whole new look and is flanked by paddle boards. The Revelry is a whole new way to experience paddle boarding. When you walk into the shop, you can’t help but marvel in its chic new look. 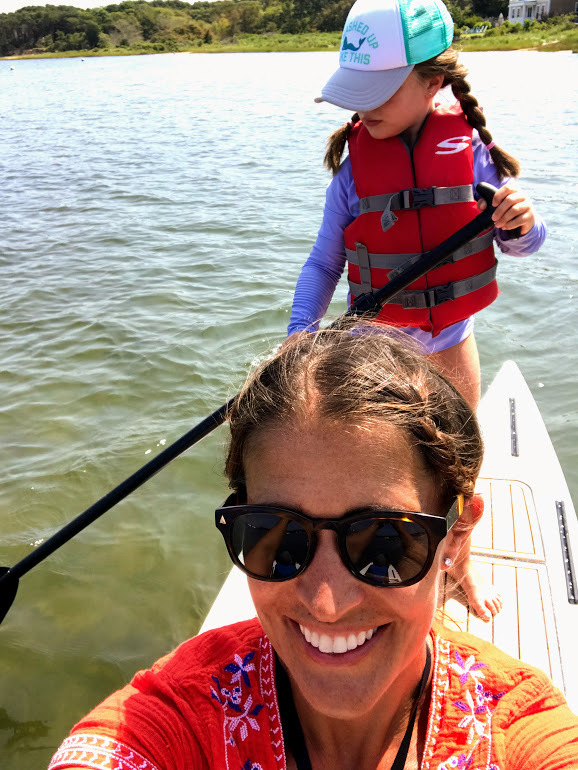 Though at the moment, it’s all about paddle board tours, lessons, etc., but in the future, the space will offer even more, and we’ll be sure to keep you in the loop. I was lucky enough to meet with The Revelry owner, Joana Cleckner, and her crew, Taylor and Savannah. 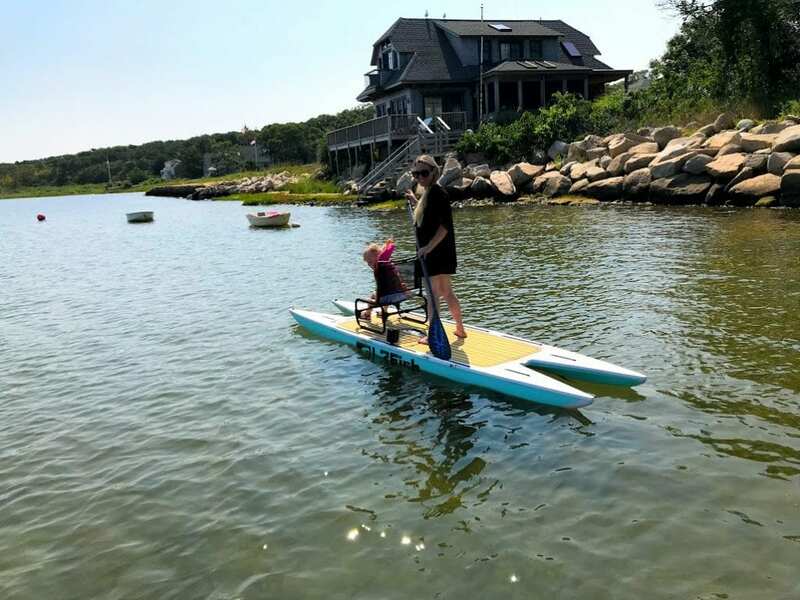 Joana and her husband John opened The Revelry on the Vineyard as a way to introduce their paddle boards to the community, and it was also a way to make Summers here a reality. Joana’s husband John worked in the paddle board industry for almost 20 years. He noticed that there was not a lot of change in the design of the boards. Sure there were modifications here and there, but paddle boards were basically all the same. Well not any more, introducing LIVE Watersports, the home of the catamaran style paddle board. 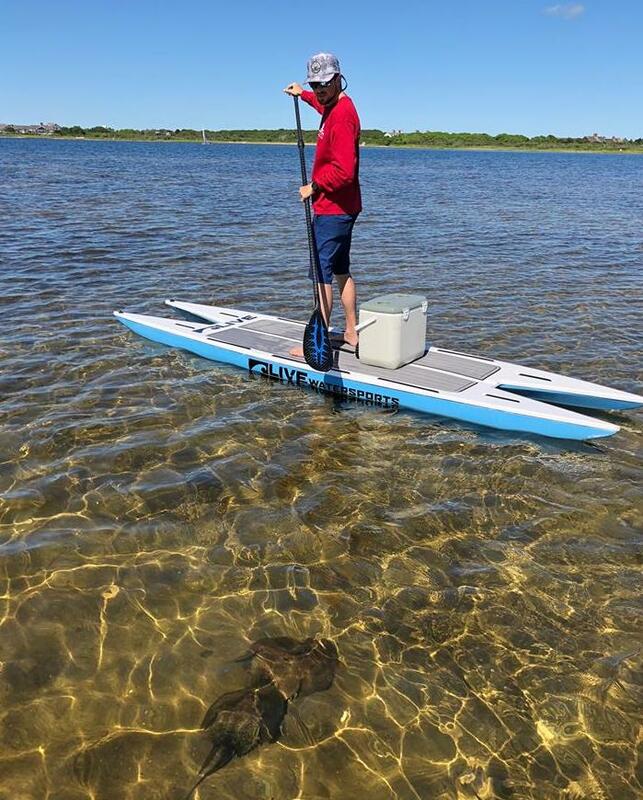 As with a catamaran boat, there are a lot of advantages to have a V-shaped hull for a paddle board. Let’s talk stability. There are a couple different LIVE models. 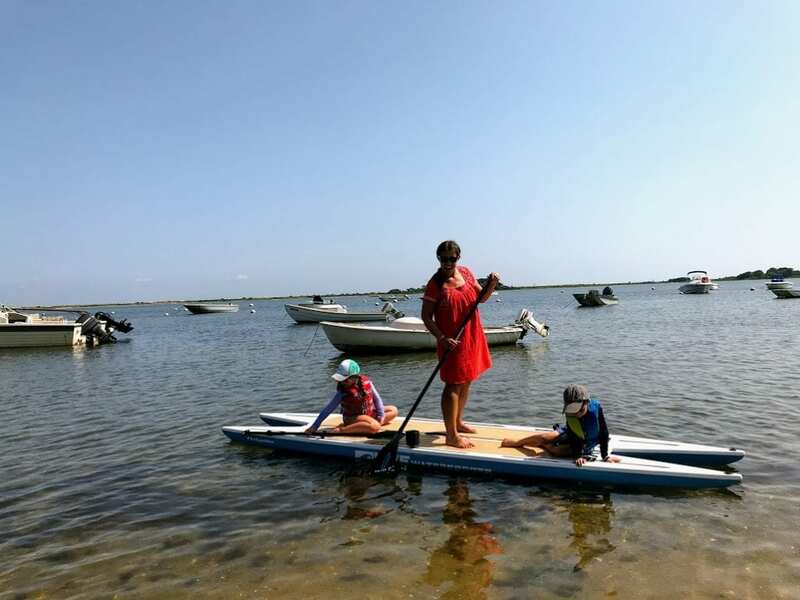 Joana, her daughter Genevieve, Savannah, my kids, and me, went to Sengekontacket, on the Edgartown side, to paddle. Savannah brought three different LIVE boards, each catering to our individual needs. Joana paddled on the L2 Fish, Savannah used the L2 Utility (most similar to a traditional paddle board and I used the mother board, the L4 Expedition. This paddle board was unlike any I have ever been on. It was so spacious. I had two kids on it and plenty of space. 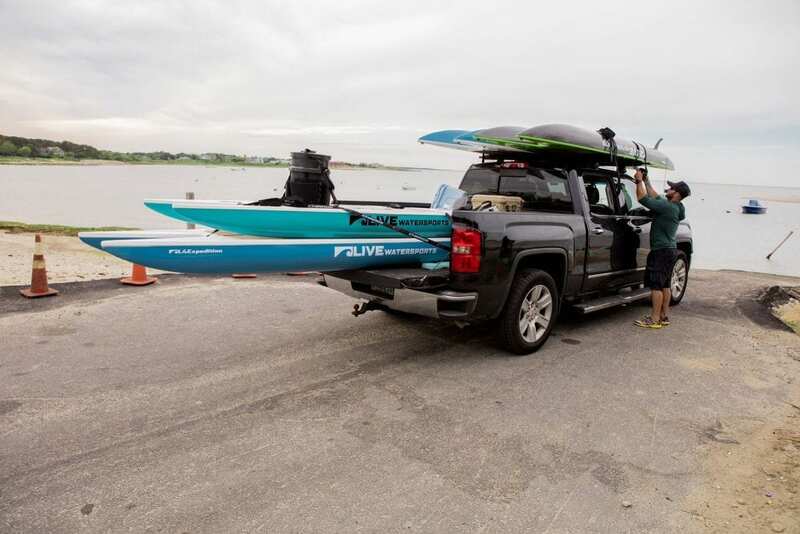 The L4 can carry up to 700 pounds — that’s unheard of in the paddle board world. Not only was it spacious, but it was so much more stable than other paddle boards I have used. I felt more even keeled and not uneasy when the kids moved around, which they always do. The board is 14 feet long and weighs only 62 pounds. It was easy to navigate, and I have to say, that I really loved how stable it was. Joana had the L2 which can carry up to 500 pounds, is 12.5 ft long and weighs 51 pounds. Similar to the L4 I was using but smaller. Joana made some upgrades to her board. Because the boards are so stable and have so much weight capacity, you can really trick out your board. There is a track system that can host a whole series of additions from YAK Attack. Joana brought a chair for Genevieve to sit in for the paddle. How cool is that! 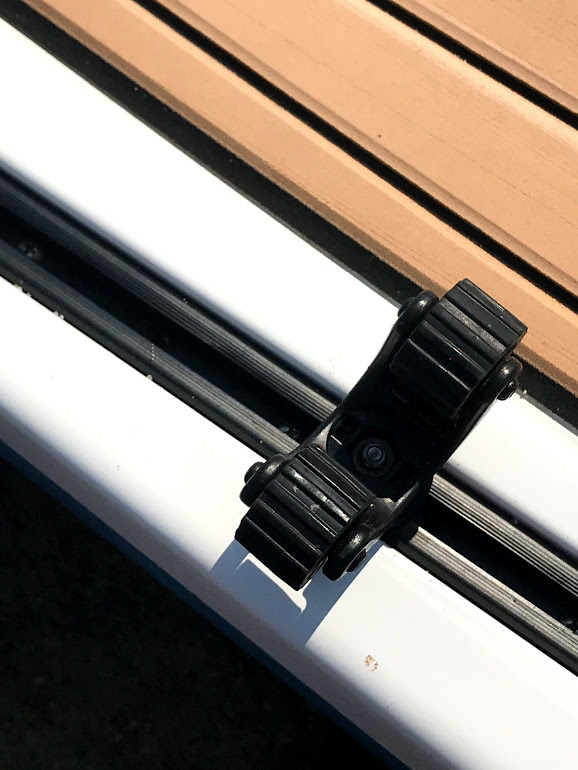 You can get attachments to hold your paddle, cup holders, fishing pole holders, and so much more. There are tons of options. Savannah had the sportiest of the three, the LUtility (there’s a sport version too). I was super impressed when she started fishing on hers! She was pretty active on the boat and it was so stable! 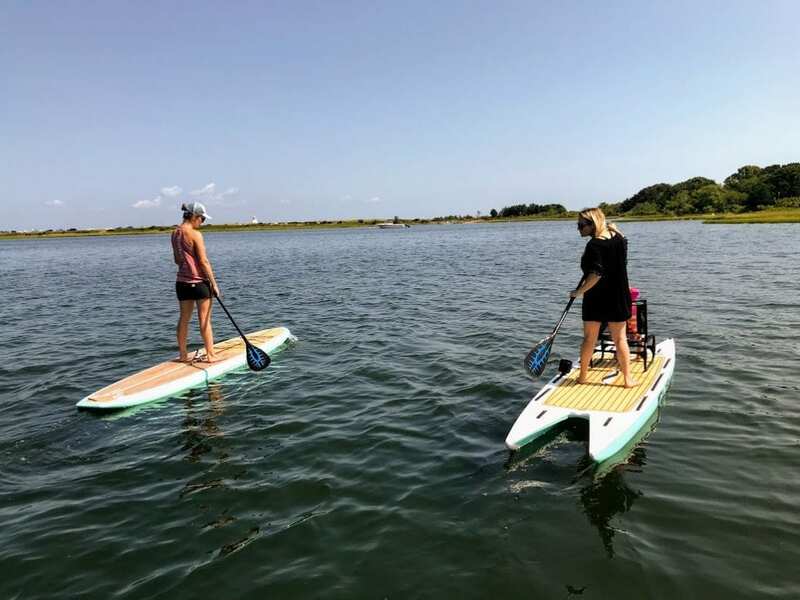 With the size options and the stability, and the ability to have your paddle board accessorized to your lifestyle needs, these paddle boards really allow you to go to the next level in this sport. Which as you know, if you like to paddle board, it’s addictive. The innovative design of LIVE boards is a game changer. There are different hulls for boats, why not for paddle boards. John and Joana have really elevated this board game. Having space, stability, ease and options to create your dream board makes LIVE boards really appealing. LIVE paddle boards hit the market about 5 years ago. When introduced at a large water sports show, the response was incredible. These boards were something special. Joana and John packed up their family and an RV filled with LIVE boards and travelled the country selling them to retailers. The best move they ever made. The couple built a factory in Clearwater, Florida, where they live full time to make sure the LIVE boards are made to their standards. There is one paddle board style made in China. An added bonus to having the factory in the US is that delivery times are short, especially if the board is in stock. If you buy one from The Revelry in Edgartown, you can most likely have it in two weeks or less. Don’t forget to ask about customizing your LIVE board as well, perhaps add a monogram, a boat name, etc. That RV family trip seems so long ago. LIVE has come a long way in a short time. 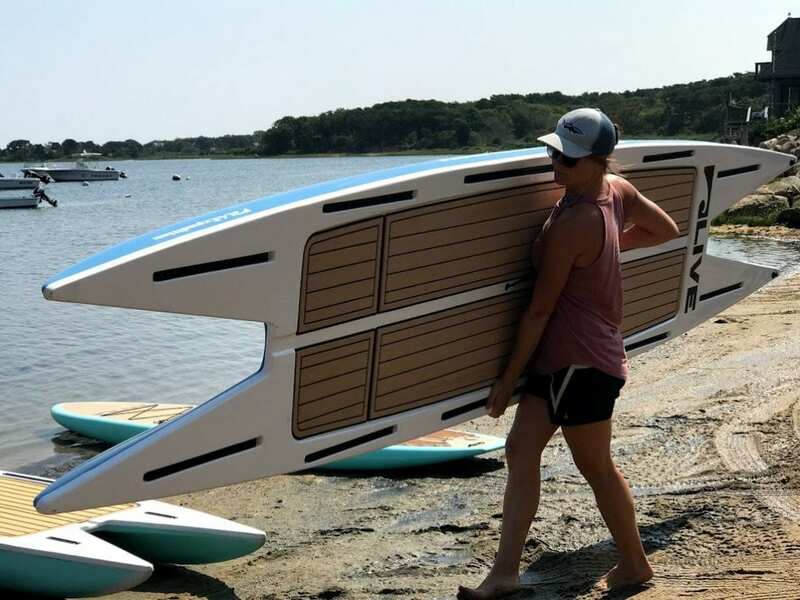 Now LIVE boards are sold all over the country, including Edgartown, and abroad as well. John and Joana got to know Martha’s Vineyard by LIVE’s sponsorship participation of the Derby. You may have seen their boards by the weigh-in station. They fell in love with this special Island, and had to make it a more important part of their life. Welcome The Revelry, and they have big plans for the space. 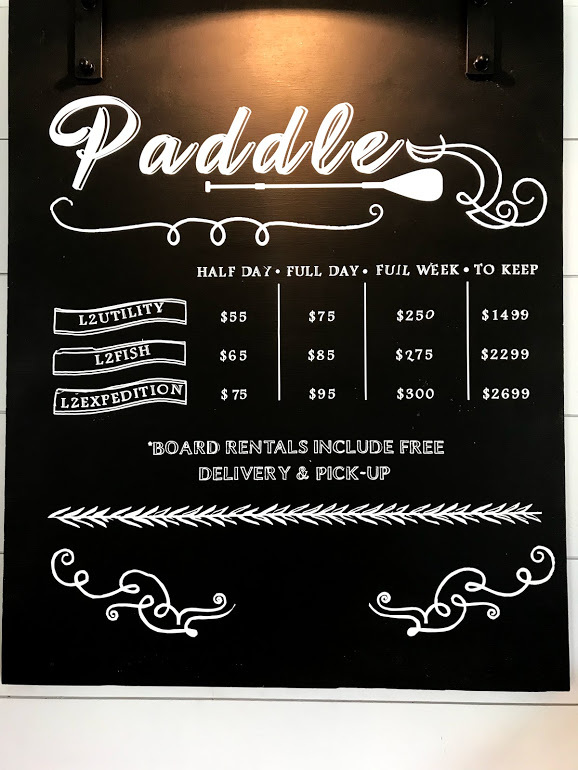 At The Revelry, you can rent LIVE paddle boards, with free pick-up and delivery. 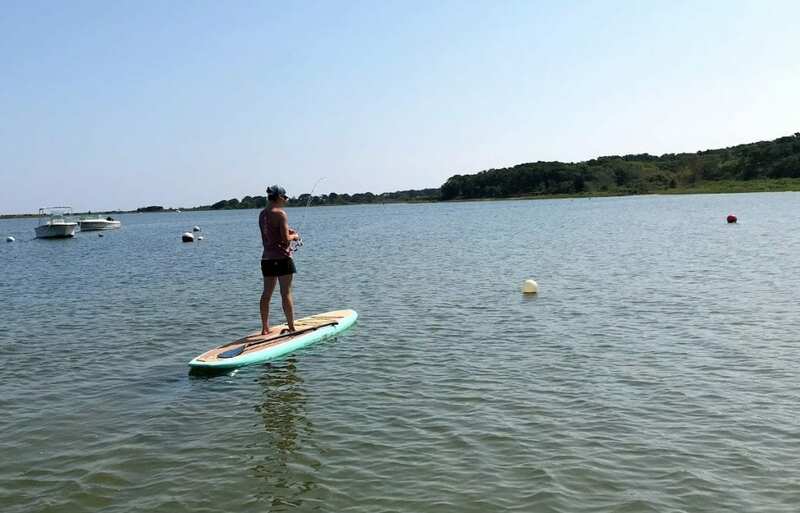 The Revelry also offers SUP lessons and tours, and even fishing excursions. Savannah used to work at Felix Neck, and having her on our adventure was really fun. She is full of knowledge about water critters and more. Definitely a bonus for us. 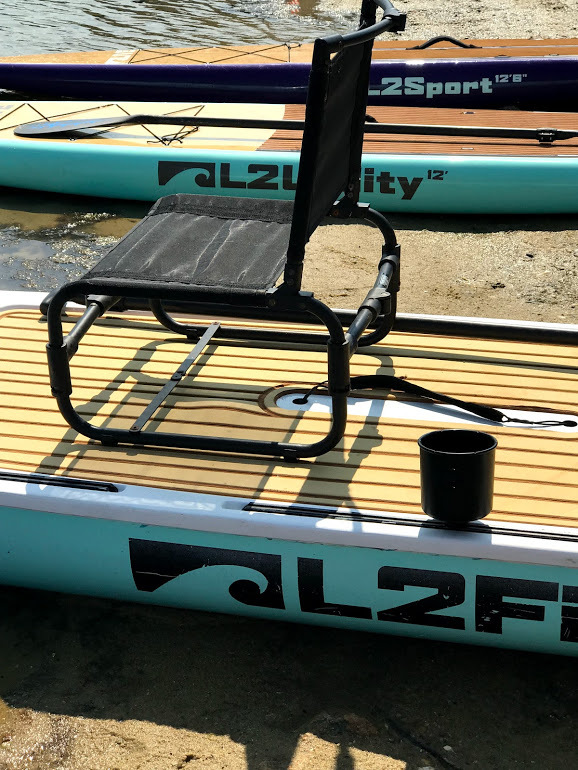 Looks like I might be saving my pennies for L2 Fish – I have always wanted a paddle board and this one seems to be the perfect one. 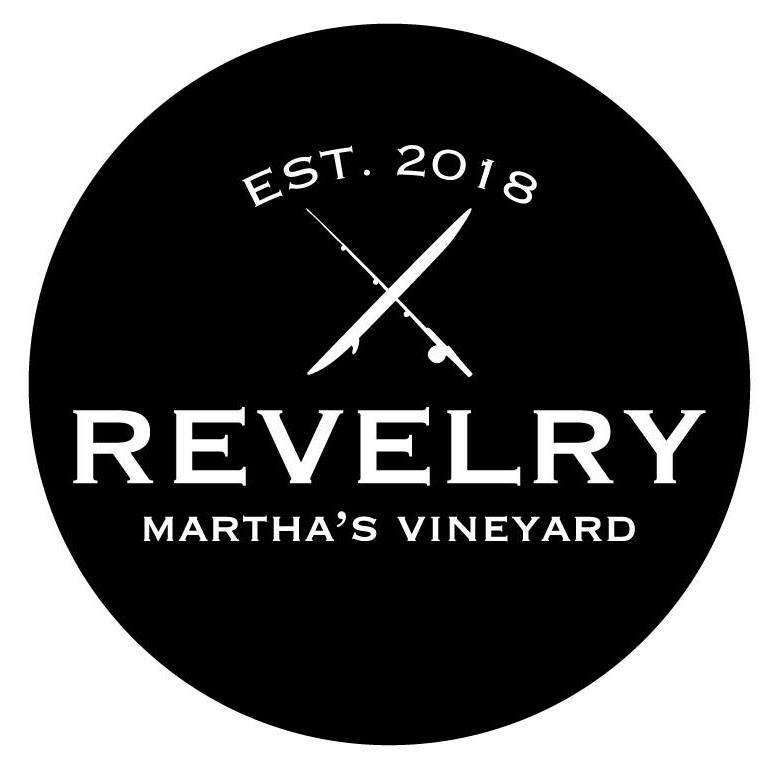 The Revelry will be open through the late Summer, early Fall. 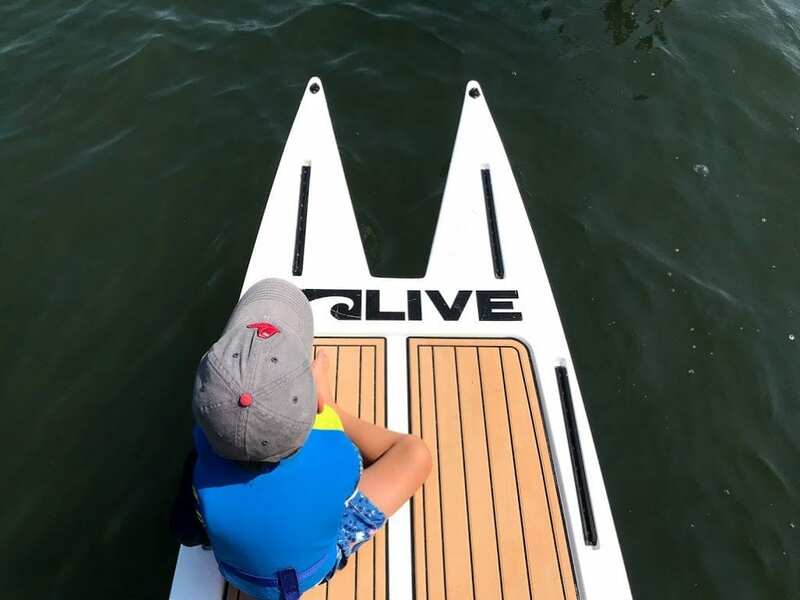 Call 774-549-5119 or email them at behappy@thereverly.net to book your LIVE SUP adventure and experience the difference of the catamaran style hull! Thanks for reading On Point, my POV on MV. You can learn more about The Revelry on Facebook and Instagram. Don’t forget to “Like” Point B Realty on Facebook, and follow us on Twitter, Linked In, Google+, Pinterest, Youtube and Instagram.